Pretty white dressing table stool with beige cushioned seat. Perfect for a French themed bedroom or boudoir. The Lila Range comes with matching furniture for the bedroom. Offering luxury and comfort, the stool comes with a cushioned seat pad. Fully assembled design, this stool is ideal for sitting comfortably at a dressing table. 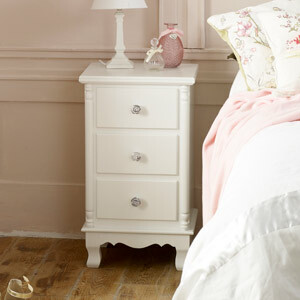 The Lila Stool will look fantastic teamed up with the other furniture from our Lila Range. Pretty white dressing table stool with beige cushioned seat. Perfect for a French themed bedroom or boudoir. The Lila Range comes with matching furniture for the bedroom. Offering luxury and comfort, the stool comes with a cushioned seat pad. 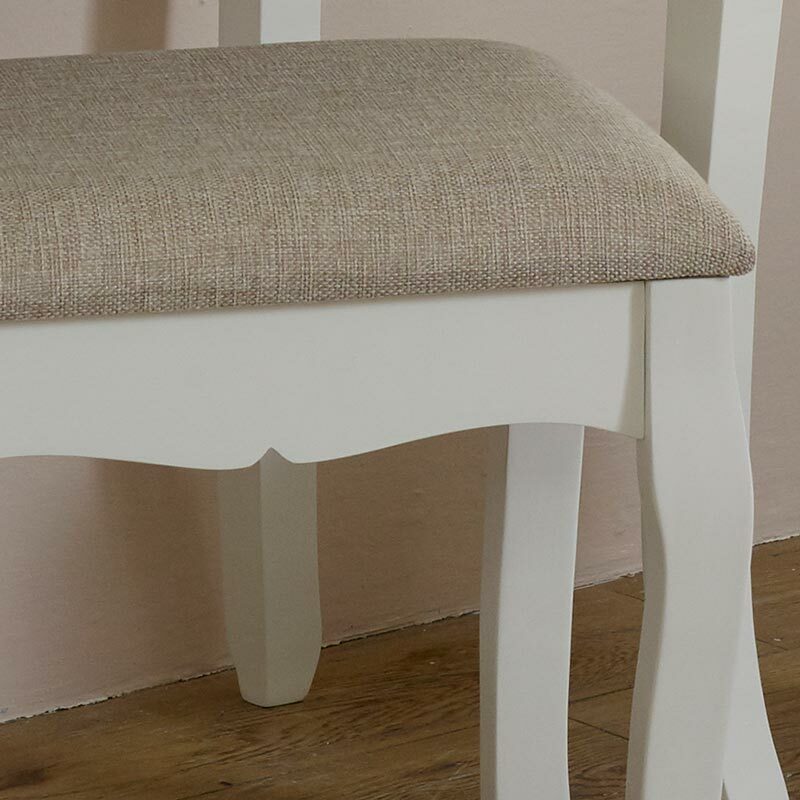 Fully assembled design, this stool is ideal for sitting comfortably at a dressing table. The Lila Stool will look fantastic teamed up with the other furniture from our Lila Range. Wooden base in a white painted finish with a beige fabric upholstered seat. With many more stools to choose from, from the velvet upholstered standalone pieces to seating that forms part of a whole furniture range.